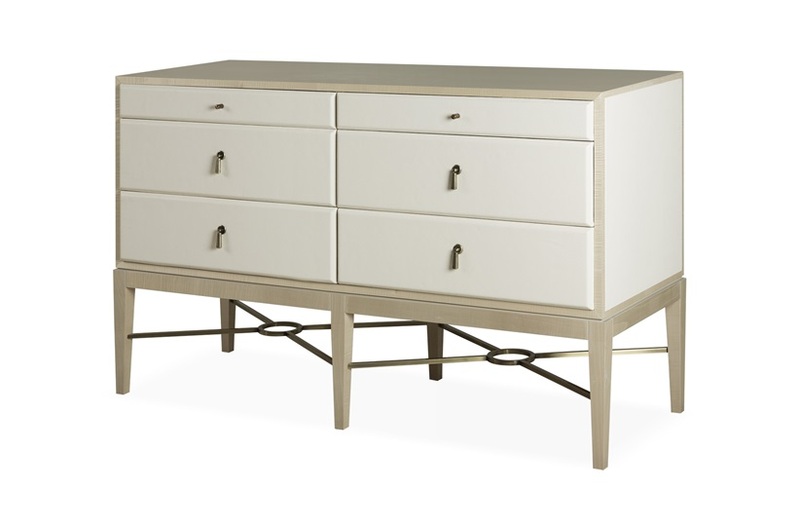 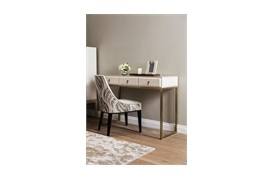 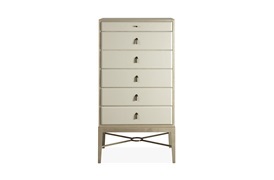 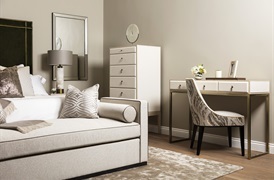 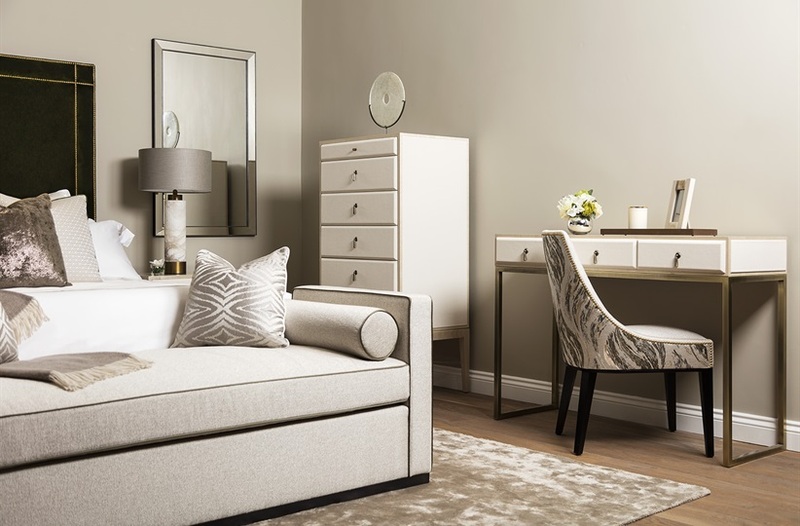 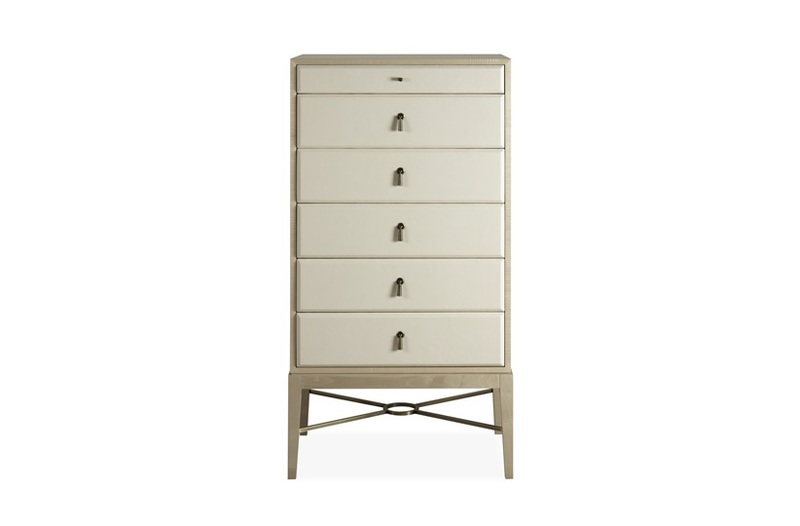 An elegant bedroom furniture range with classical detailing, the Boudoir collection comprises of a bedside table, chest of drawers, tallboy, and dressing table. 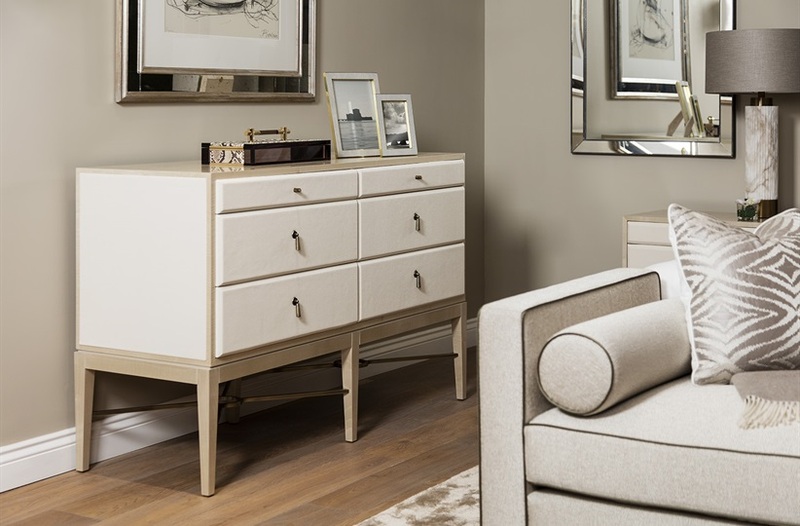 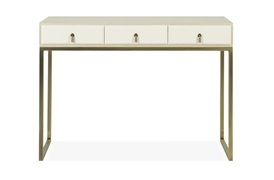 The collection has been designed with versatility in mind, available in a light or dark colour scheme. 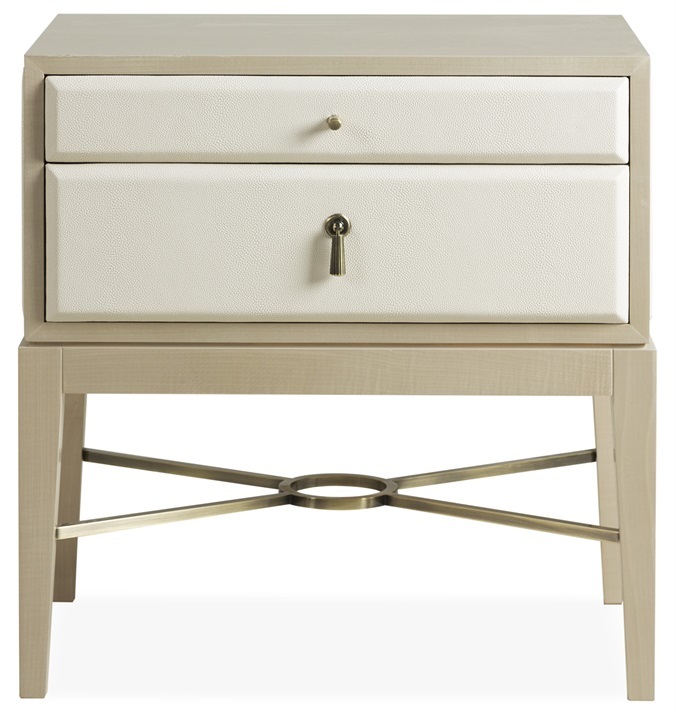 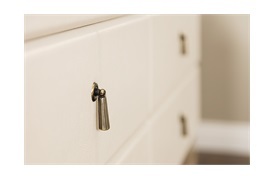 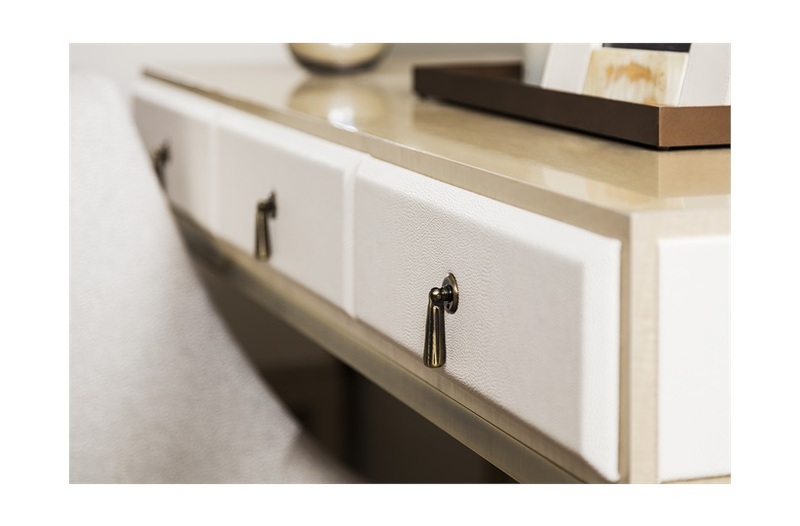 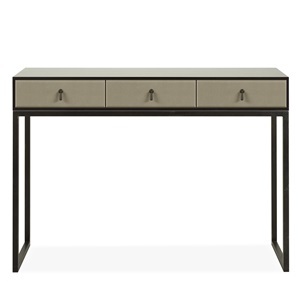 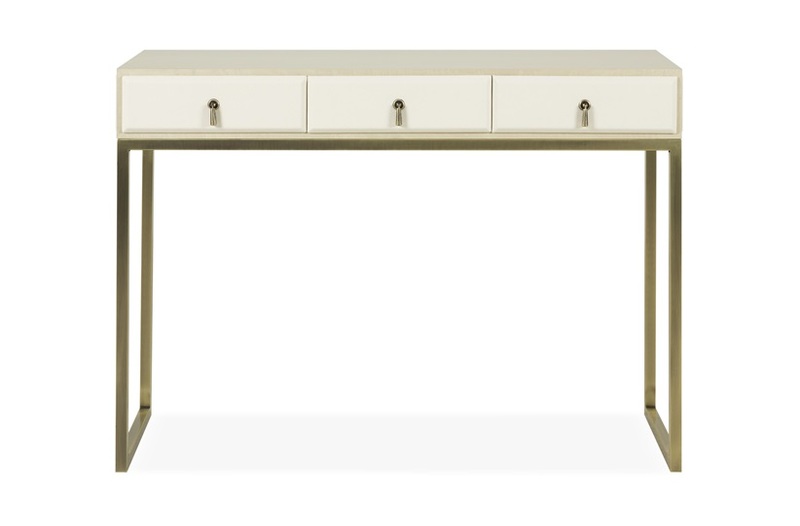 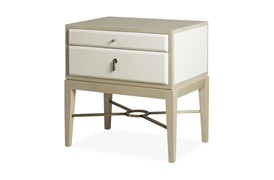 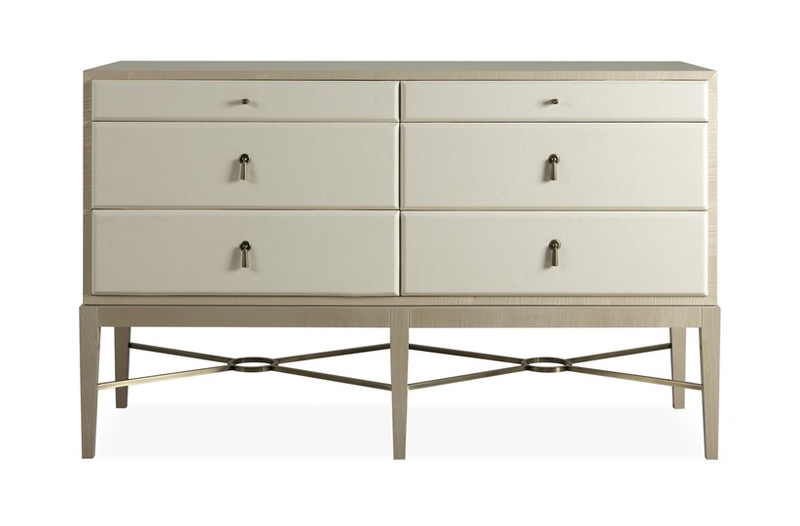 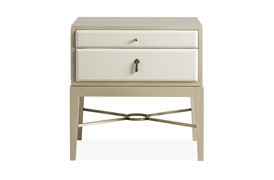 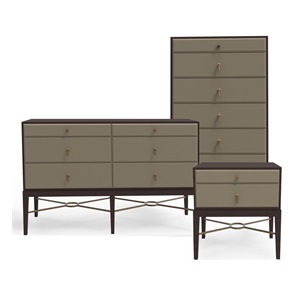 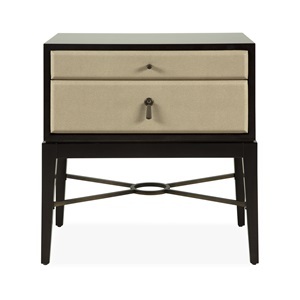 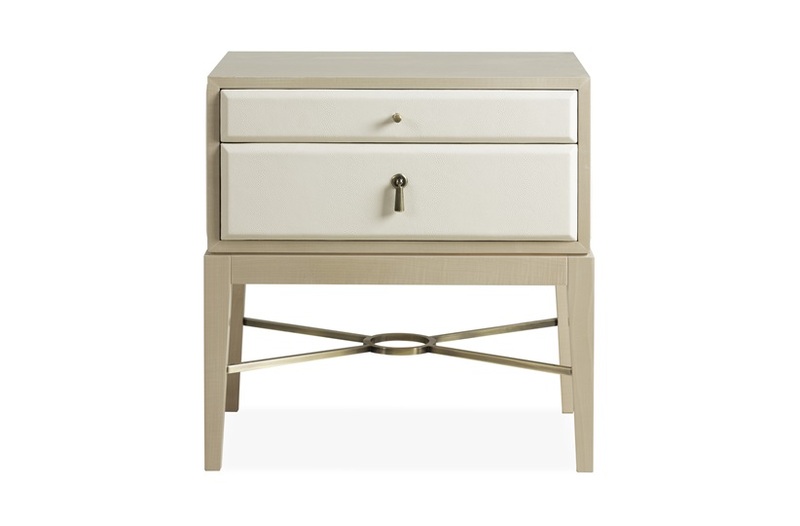 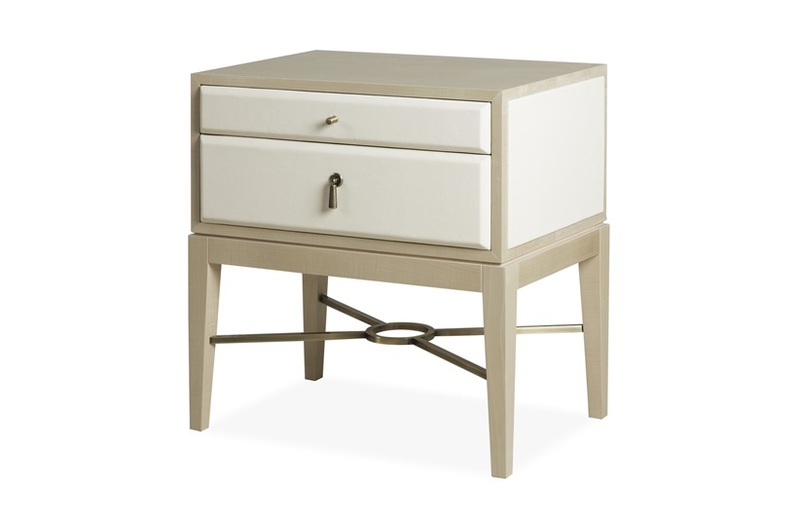 Faux shagreen drawer fronts and metal accents bring a richness and luxury feel to any bedroom environment.